Lily Oak Books: Happy September! Well, it's been a while since I have frequented this space! It was a lovely summer filled with sunshine and road trips and canoeing and friends and family and camping and parties and eating lots of fresh fruit. 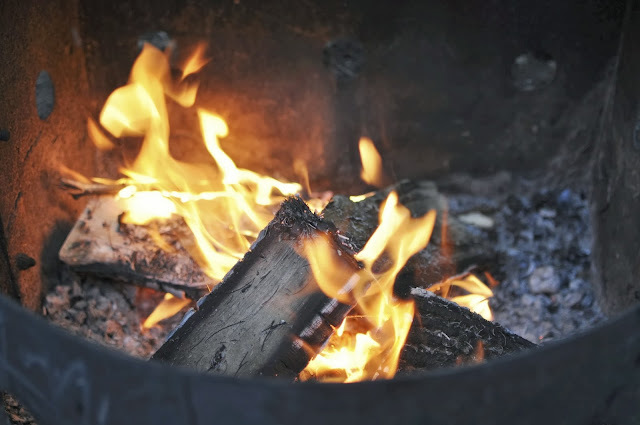 We spent three months at our cottage which has no internet, and no television. You'd think it would be a reading paradise, and in the past it has been: this year I flitted from book to book, never finishing anything before tiring of it. I still blame Charlotte Brontë and Villette! In three months I managed to complete just one single, solitary work of fiction: The Great Gatsby. But since returning home a week ago I polished off Anne Tyler's The Accidental Tourist in just over a day and feel that my mojo may be returning. Ah, but it was a lovely summer. One of the most wonderful highlights was a week at Bon Echo Provincial Park in Ontario. 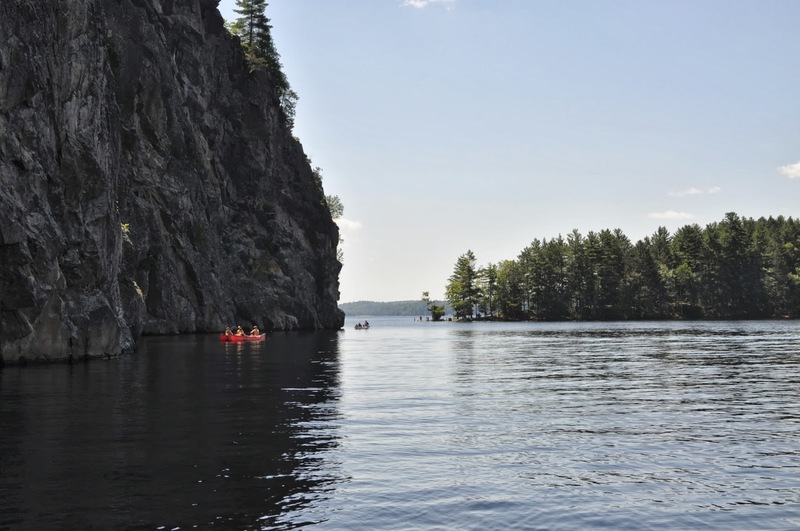 The park has a fascinating history, and a magnificent cliff rising straight out of Lake Mazinaw (the second deepest lake in Ontario!) that is adorned with spectacular native pictographs easily seen by canoe. The area was developed as an artist's retreat in the early years of the twentieth-century. 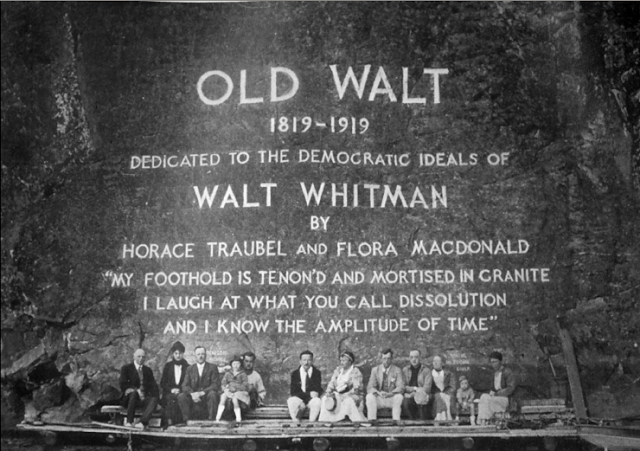 In 1919 a massive project to carve a dedication to Walt Whitman was undertaken on the side of the cliff. Flora Macdonald Denison was a successful business woman, a columnist for a Toronto paper, and an active suffragette in 1910 when she bought Bon Echo Inn from Weston Price. She was also an admirer of Walt Whitman. In 1916 she began publishing The Sunset of Bon Echo to attract visitors to the area, and to explore the issues of the day. She formed the Whitman Club of Bon Echo and various devotees of his work frequently came and lectured. Among these was Horace Traubel, Whitman's literary executor and biographer. In 1919, Horace Traubel and Flora Macdonald Denison dedicated the famous Bon Echo rock to Walt Whitman. The following year, the centenary of his birth, two stonemasons from Aberdeen, Scotland were hired to carve the inscription on the rock. 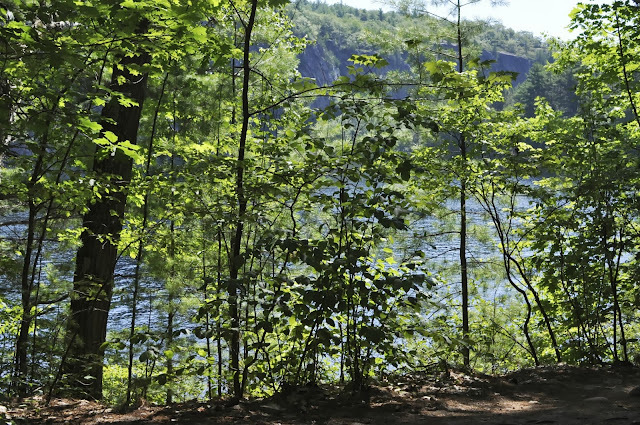 Walt Whitman never visited Bon Echo. There is a story that shortly after the dedication of the rock when Horace Traubel was dying, Walt Whitman's ghost came to comfort him. 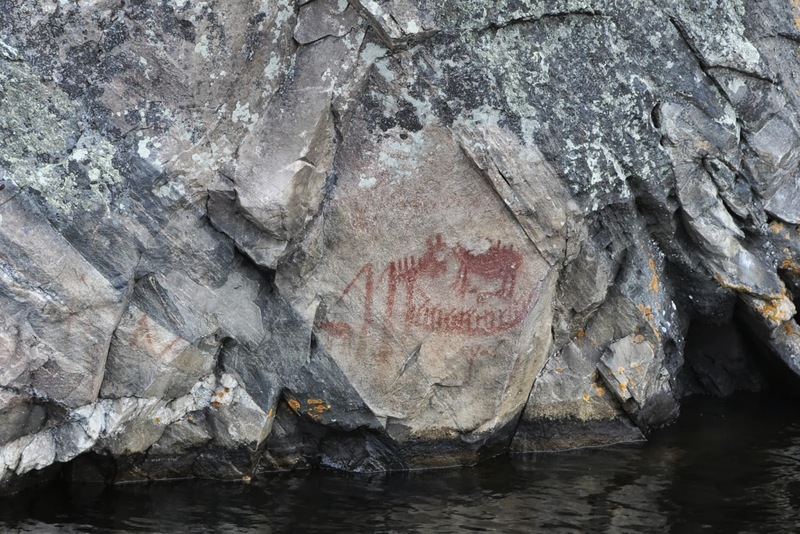 The carving is still clearly visible on the cliff, almost one hundred years after it was completed, although some words are difficult to distinguish. It's lovely to see you again, and to learn that you have had such a wonderful summer. Thank you so much! It's good to be back. Notwithstanding the increased pace of life, I've been reading up a storm too. I had never heard of the Whitman carving before either, and I lived for 9 years (during university) within 90min of the park! I have been enjoying dipping into "The Sunset of Bon Echo" magazine which I linked in the second last paragraph. So fun to imagine the gathering of all these people in that gorgeous place, reading and appreciating literature. I am glad that you are enjoying your time in Spain. Your photos go a long way to satisfy my own overwhelming wanderlust at the moment!